Shirley Knight’s “Shirley’s Book of Poems.” With clear prose and rich imagery, this new collection are songs of passion, ill-fated love and star-crossed lovers. 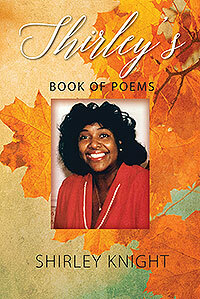 Other poems commemorate special occasions, honor family and offer inspiration to do the right thing. A deeply satisfying journey into the human soul.